We have a real opportunity to create a globally leading macro-region within health economy and biotechnology based innovation. Significant demographic shifts with ageing populations and the rise in chronic diseases and comorbidities is a major driver of the healthcare sector throughout the Baltic Sea Region (BSR). Every segment within the health sector is currently expanding to meet demand. Additionally, large-scale modernization and expansion plans are in the pipeline in the hospital sector across the region. This is not only a cost for society but also an opportunity as stressed by many. 3 ScanBalt countries are currently in top ten in overall biotechnology innovation Denmark (3), Finland (7) and Sweden (9) while Germany (12), Netherlands (14) and Norway (19) are other well placed ScanBalt nations. The East Baltic ScanBalt countries Estonia (25), Lithuania (33), Poland (36) and Latvia (39) still have a gap to close but are moving forward. As an Estonian I am of course very pleased to follow the progress of the East Baltic and their focus on health economy and biotechnology. Estonia is becoming a prime example of the introduction of digitalization and digital health. This can be exemplified with the EU Estonian Presidency conference “Health in the Digital Society. Digital Society for Health”, 16 – 18 October in Tallinn. It is worth to notice that ScanBalt Forum 2017 will take place in conjunction with the event on the 18th of October. Lithuania has taken a strong step forward with the creation of their Open R & D networks and the bi-annual gathering of nearly 2000 participants at the Life Science Baltics in Vilnius proves the strong focus of the country. In Latvia, a very competitive labor force, higher wage-adjusted productivity in almost all sub-sectors and increasing R&D expenditure support the excellent performance of Latvia’s life science sector. A promising area is the export of health care services, in the form of medical tourism. 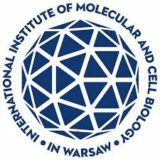 Poland has recently been able to attract world known capacities to establish a New International Centre for Cancer Vaccine Science at the University of Gdańsk. These are good examples that prove an increasing competitiveness of the region. The entrepreneurial spirit of the East Baltic is unprecedented and should not be underestimated by anybody. Estonia is EU’s most entrepreneurial country according to World Economic Forum. Another sign of the positive development of the East Baltic is that venture funds are taking an increasing interest, a sure indication of the commercial potential. In ScanBalt we certainly feel this by the rising number of requests we receive from various funds of which several are now members or collaboration partners. Their motivation is not least to gather more information about East Baltic investment targets. My key message is that the Eastern and Western parts of the Baltic Sea region are now beginning to be on a more equal playing ground within health economy though there of course still is ground to cover. But give it lets say 5-10 years and we are getting there. This makes it a lot easier to create collaborations across the region and we can be witnessing the beginning of a landslide effect from which health economy and related sciences will benefit immensely. I personally believe very much in it. However, to fully benefit much more awareness is needed in the Western Baltic about the potential in the Eastern part. My feeling is that there is still a bit too much conservative thinking about with whom you should collaborate. It is certainly a task for ScanBalt to promote this awareness. Part of this is to establish concrete trans-national macro-regional project collaborations and therefore I am very pleased to see how 3 newly approved projects (Interreg) – BiC, ProVaHealth and BaltCityPrevention – will work towards the common scope of the Baltic Sea Region as one test and development site for health care products and services. The goal of BIC is to increase the commercial potential of biomarkers discoveries. The project is coordinated by Ideklinikken in Region Northern Denmark. Read more about BIC here. ProVaHealth facilitates access to health infrastructures for startups and SMEs. The project is coordinated Tallinn Tehnopol. Read more about ProVaHealth here. BaltCityPrevention will develop and test a model that public health authorities can apply in prevention intervention planning. 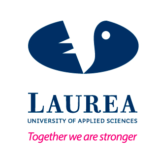 The project is coordinated by Flensburg University of Applied Sciences. Already we have projects ongoing which focus on the trans-national transfer of patient data (Baltic Fracture Competence Center) and digital health literacy (IC Health). They contribute to set an agenda for digital health in our region. From both the point of an entrepreneur and as a health care system advisor I have strong belief in health economy in the Baltic Sea region. ScanBalt. 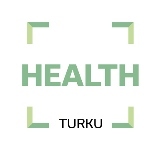 : The Health Economy in the Baltic Sea Region: Challenges and Opportunities. http://scanbalt.org///files/graphics/Illustrations/BSR%20Health%20Economy.pdf (2013).